On Tuesday, October 24th @ 12 noon, five simultaneous press conferences were held by Missouri Women's Advocates and Lawmakers outside of the St. Louis, Columbia, Springfield, Joplin, and Kansas City Planned Parenthood sites, which revealed breaking news relating to women's safety and reproductive health. In the last few weeks, Planned Parenthood affiliates in Missouri have been seeking abortion licenses for multiple locations in rapid succession. These efforts have drawn sharp criticism from Missouri-based watchdog organizations. Women's Advocacy groups believe that these latest maneuvers are a startling demonstration of Planned Parenthood's callous disregard for the health and well-being of Missouri's women. 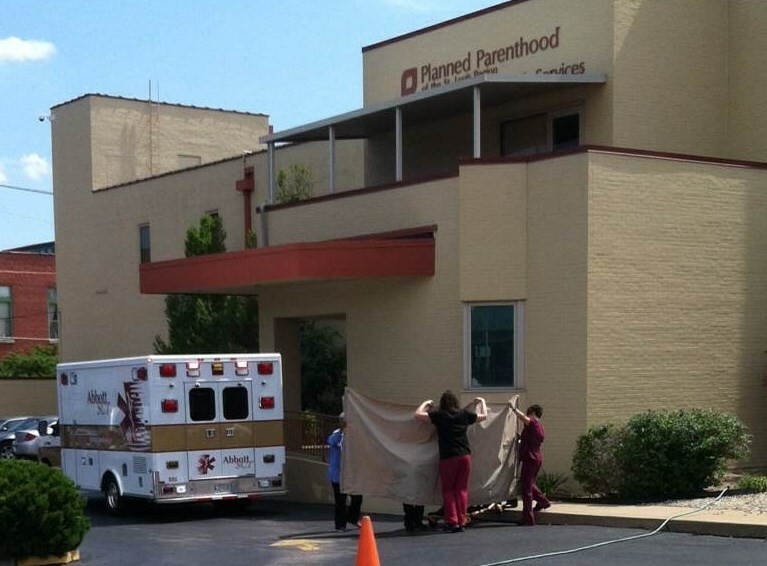 911 emergency ambulance visits to the St. Louis location continue to mount and women continue to be carried out on stretchers, covered in white sheets, without explanation from Planned Parenthood leadership, these groups assert (*see pictures). There was an unprecedented and markedly unusual demonstration of concern at the ST. LOUIS location. This event shined light on the new SB5 Bill which went into effect on the same day. SB5 provides much needed, enhanced safety to women by requiring stiffer penalties and stricter safety regulations of Planned Parenthood. Women's Advocacy leaders asserted that Planned Parenthood's desire to dodge important safety practices, which are being followed by every other surgical center in Missouri, was startling against the backdrop of being branded "the most dangerous abortion clinic in the nation" by recognized Whistleblower groups. Tuesday's statewide press conferences exposed and highlighted in an historical way the safety crisis which has escalated to an unmatched level. 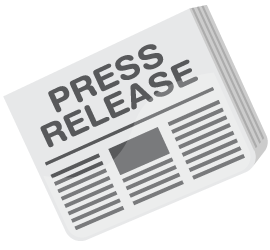 Read the full Press Statement Click HERE! On December 12, 2016 Bridget VanMeans President of ThriVe St. Louis joins Jamie Allman on 97.1 FM Talk to discuss the Planned Parenthood lawsuit. We did it! And YOU played a crucial role! BILL SB5 - PASS!!! Tuesday, July 25, 2017 - Missouri shows its support for women and children with the passing of Missouri Senate Bill SB5! Thanks to Governor Greitens and pro-women lawmakers, Missouri passed legislation that fearlessly defends and supports women! 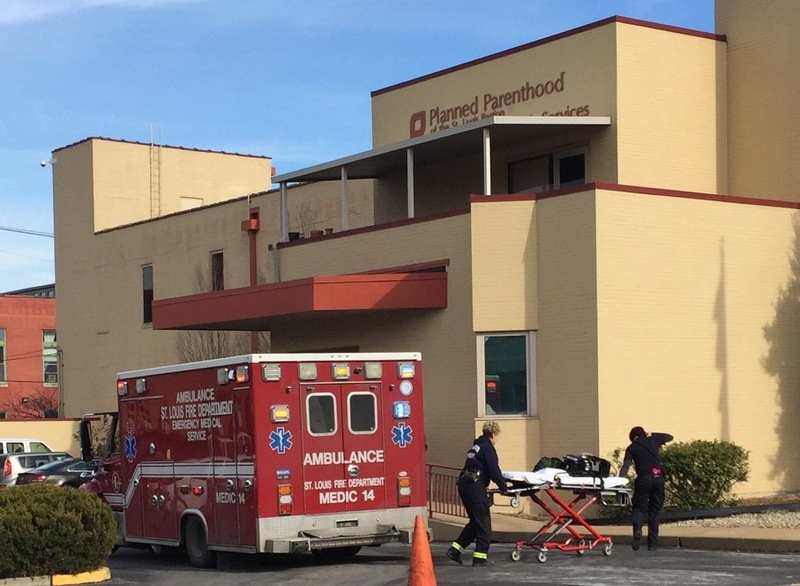 Bill requires that Planned Parenthood no longer demand that ambulances responding to 911 calls TURN OFF THEIR SIRENS, which greatly increases the danger to women in a life threatening medical crisis...can you even imagine that they are doing this?? Bill will pass more stringent laws overseeing fetal tissue from abortions since the 2015 release of undercover videos which showed Planned Parenthood officials discussing the sale of tissue, which is illegal. Bill expands regulations on abortion facilities in multiple statutes. Find out more about SB5 Click HERE! Open Letter to AG Koster and prosecuting attorneys* PROTECT WOMEN - Click, Print, Send! !